With the definition of the Ronin being a samurai with out a lord or master; the only way that I can interpret this name is that the unit removes you from conventional ways of filming; Breaking away from the old and paving your own way, otolaryngologist your own rules. Time will tell if this is true. 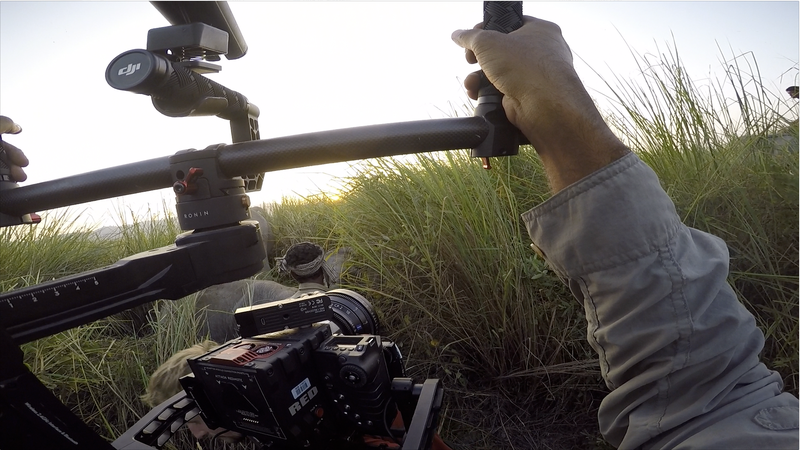 Having earlier used the Glidecam HD3000, page it was amazing how steady the shots were. It really felt like it took your filmmaking to a whole new level. Glidecam operators were much sought after, troche because it took a great amount of time to calibrate the counter weight. It was a painful task with minor adjustments to get the balance perfect. It could take up to an hour in a worst-case scenario. It took a lot of practice to get those shots perfect. Earlier, gimbals were large contraptions, which used brushless motors, Lipo batteries and a lot of wiring and electronics. They were massive setups and you needed to be more of a precision electrician than a cameraman to operate one of them. 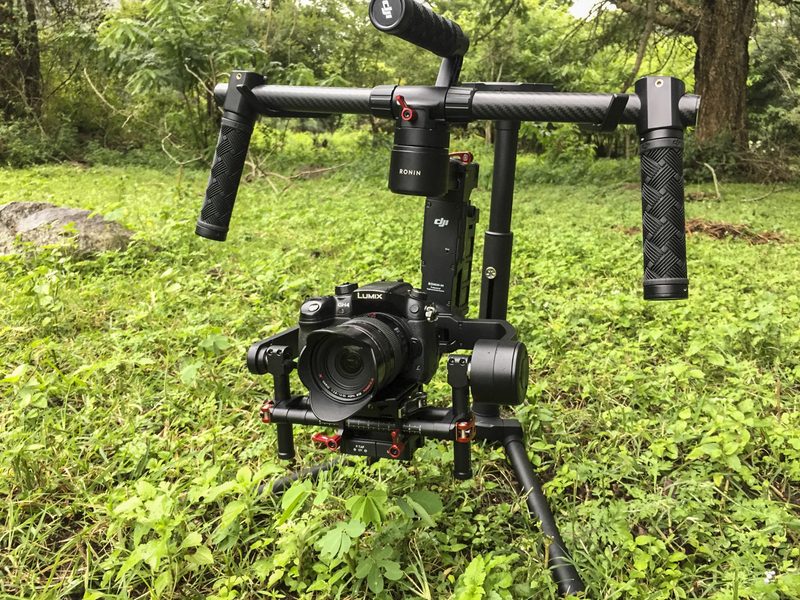 Over the short span that gimbals have been in the market, they have made massive progress and have changed the way in which we make films. With the introduction of the Ronin-M during The NAB show earlier this year it made a huge impact for the DSLR shooters, who needed something low cost but high performance to add to their kit. 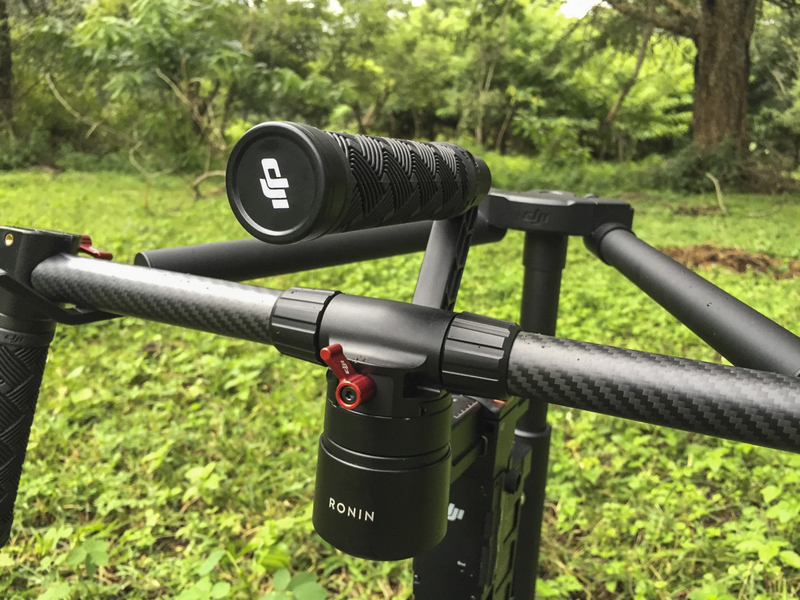 The Ronin-M amongst a number of smaller DSLR oriented gimbals that are available in the market today has (in my books) changed our basic kit that is essential in the field. For all who are shooting any small, indie or documentary films, this unit is definitely a must have for various reasons such as weight, ease of setting up, portability and not to forget, an absolute workhorse with a 6 hour battery life (depending on the weight of the camera that is being used). I won’t to go into the usual discussion that people have been posting about, such as unboxing, balancing and so on. I want to discuss more the usability, what cameras fit and how easy it is to carry around and some of the little attention to details that have been added. Steven Roberts has a Google doc, which you can refer to and also add more cameras and lens to help you setup your rig faster. For the price and the size of this unit, it opens up a whole new world of possibilities. Being able to mount virtually any DSLR from all companies it does not discriminate at all. So if you are a Nikon or Canon shooter or even a Panasonic or Sony user, this unit is able to take you the distance. Basically your options are endless if you are using a DSLR. All Canon, Nikon, Sony A series and Panasonic Lumix series will work. It will take a maximum of 4 Kgs. It will be hard to come up with a weight like that, so the restrictions are mainly physical dimensions. TIP: It is advisable to use a heavier lens (CP2 or 24-70) so that the body slides further to the back, other wise it does not fit in the cradle. 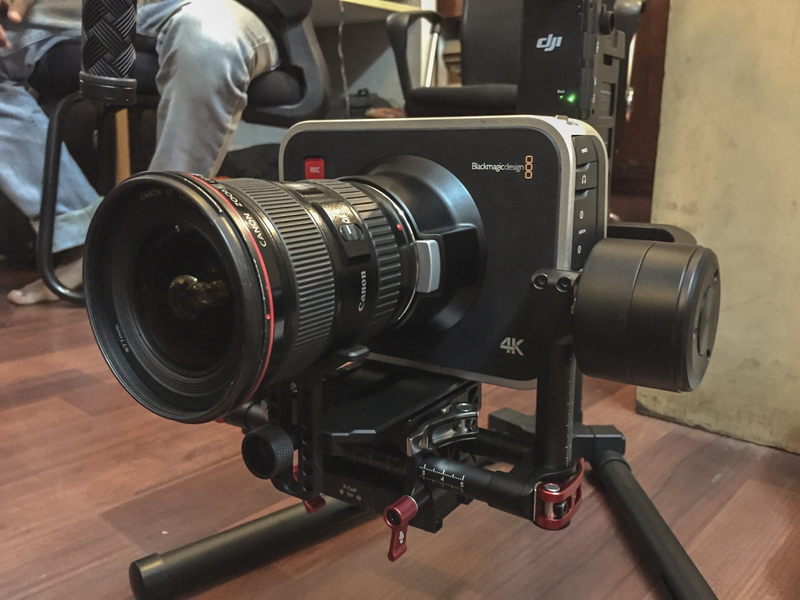 There are reports that people have managed to balance a C300 and a stripped down Red, but with some adjustments and small alterations. There is nothing much I can say about the design. It’s sleek, simple and does the job. My only peeve is that it is all in black, which gives me only a few days before I knock into it if I leave it on the stand. And the fun bit about this is that the grips are the same for any Mountain bike handle grip. So if you are a mountain biker you can customize the grips with some fancy ODI or Raceface or if lizard skins are preferred. Again due it’s weight it makes it very easy to be transported in a case. Unfortunately a separate pelican case would need to be purchased. The guys at Intelligent UAS have a Ronin-m mold for the Pelican storm iM2600. 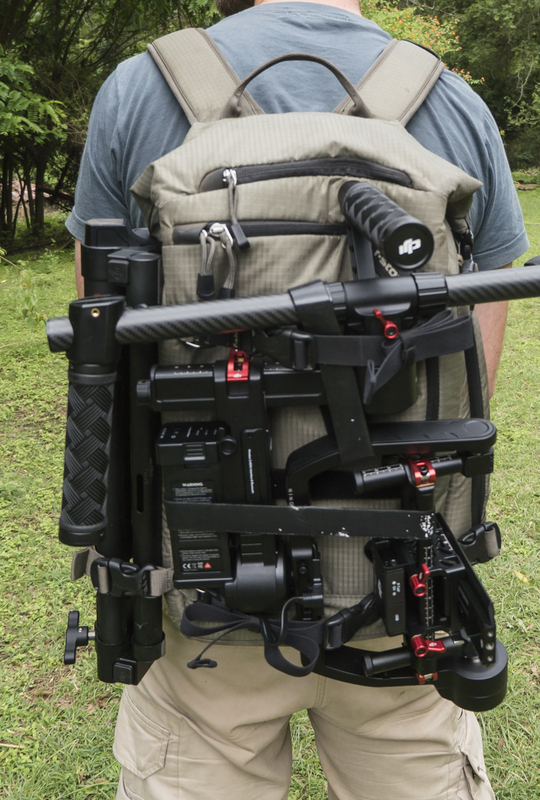 Otherwise, if it is more of run and gun situations the gimbal can be strapped up to a backpack. I tried it out with the fstop Kenti and it held nicely. It also possible to transport the gimbal using the tuning stand. 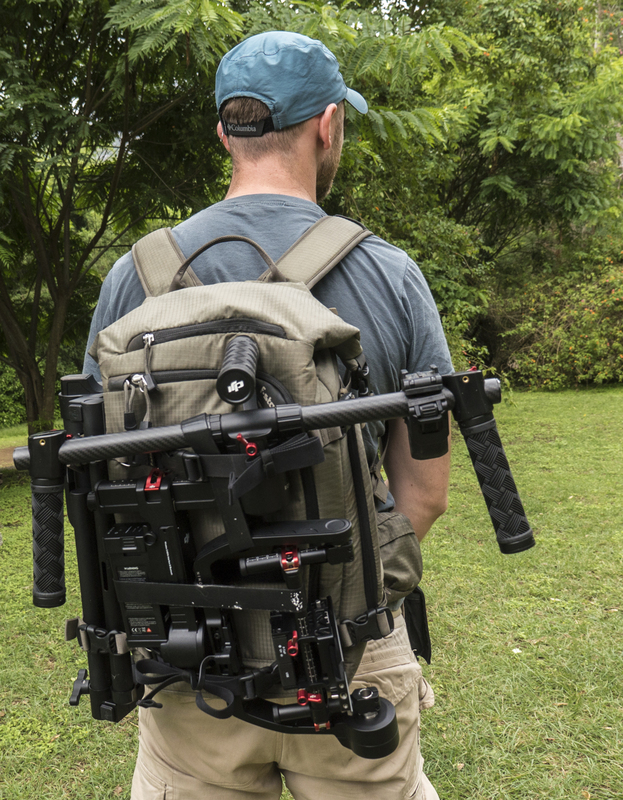 Strapping it with the 2 included velcro straps, the gimbal can be carried around without a problem. It is also secure enough to put it on the backseat of a car and be driven around, incase you don’t have to the time to pack it all up or if you are shifting location (This solution is only recommended for short distance transportation). 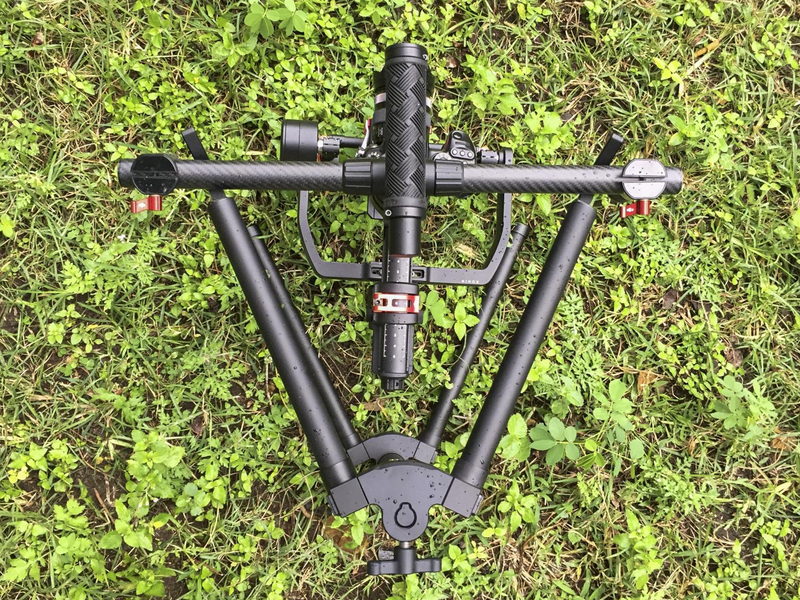 Using a specific baseplate it is possible to mount the gimbal to a jib, tripod and a drone. Currently I’ve only come across a company called Cinemilled and Ronin Rigs who makes these adaptors. It’s crazy how adaptive this unit gets with a small adaptor. It opens a whole bunch of doors of shots that one has thought impossible earlier on. It some how feels like “how can one not have this unit in my kit before”. The inclusion of the remote, giving control to a second shooter is definitely a nice add on, but if you don’t have the luxury of a second person around with a FPV device. DJI also has the thumb controller available for purchase. 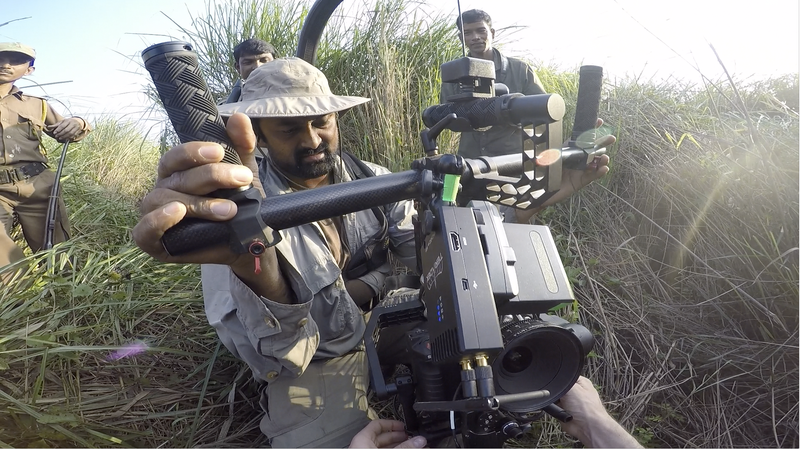 We also got our hands on the Ronin-M’s Big brother during a recent shoot in Kaziranga. The unit was completely rigged up and required an easy rig to due to the weight, which the arms could not support. 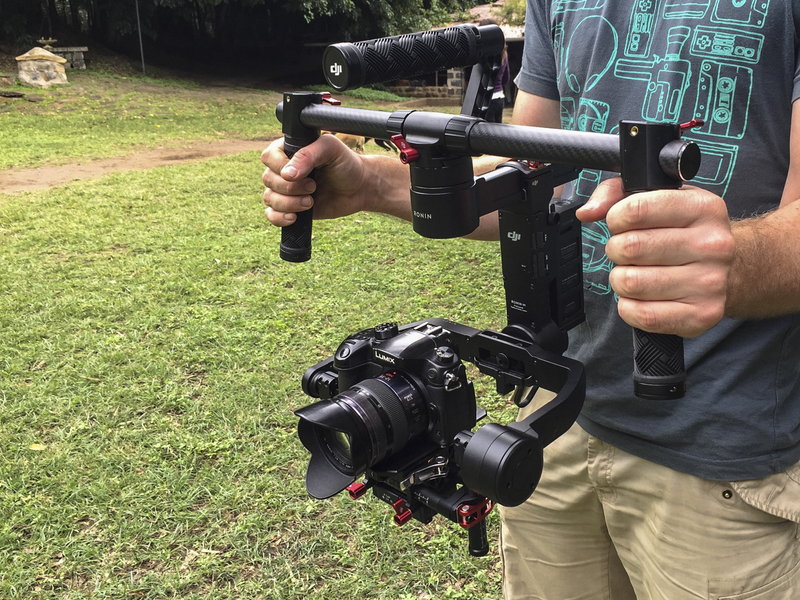 It would definitely help to have an easy rig setup up for the Ronin-M as well for long days out in the field. Thinking about it, I can’t really think of many, for the price oe pays for this unit. The only thing that really is annoying is that it is not Arca Swiss compatible. Having to shell out an additional 180 dollars for an adaptor is not fun. Also shifting the camera from a tripod back to the gimbal and constantly having to change the baseplate, makes it a bit irritating. But all things said, I am really happy with what one gets. I will be updating the blog as I get more feedback and usage out of this unit. Stay tuned. We have just added the Ronin-M to our rental inventory, if you are interested to take out for a spin.